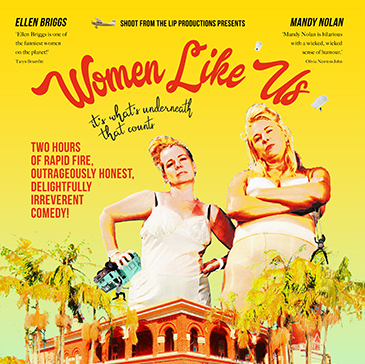 WomenLike Us is a two-hour stand up comedy show from two of the country’s most lovedcomedians, Ellen Briggs and Mandy Nolan. 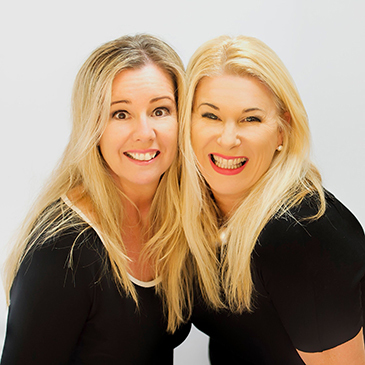 They have performed this showover 120 times all over Australia to rave reviews – in fact this year, they gottwo 5-Star Reviews at the Adelaide Fringe Festival – that’s unheard of! Covering all the important topics like getting fat, getting old, stinkyteenagers, weird tv shows, weird surgeries and even who unpacks the dishwasher,this is real, relative and hysterical comedy at it’s best. With a laughcoming every 15 seconds, it’s not only a night out – it’s an ab workout! !